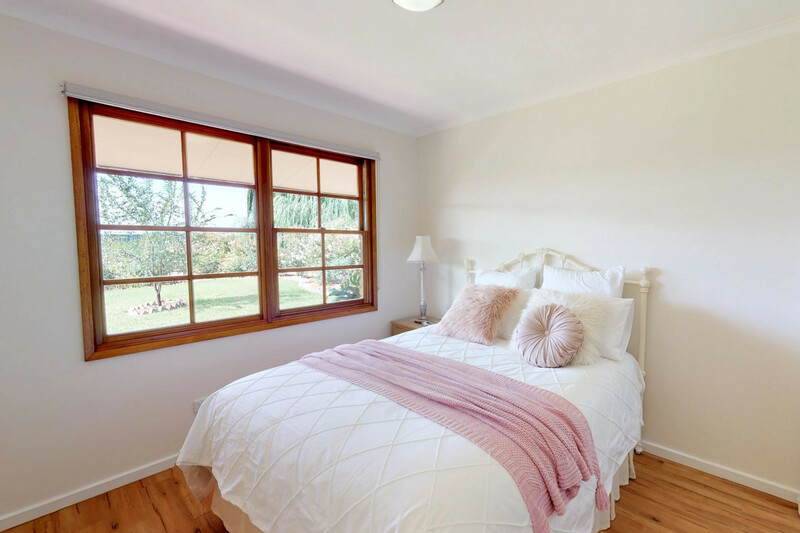 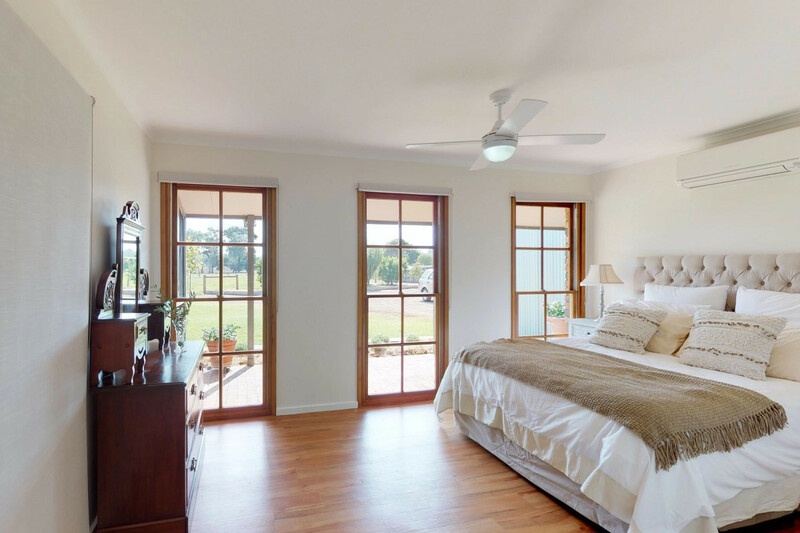 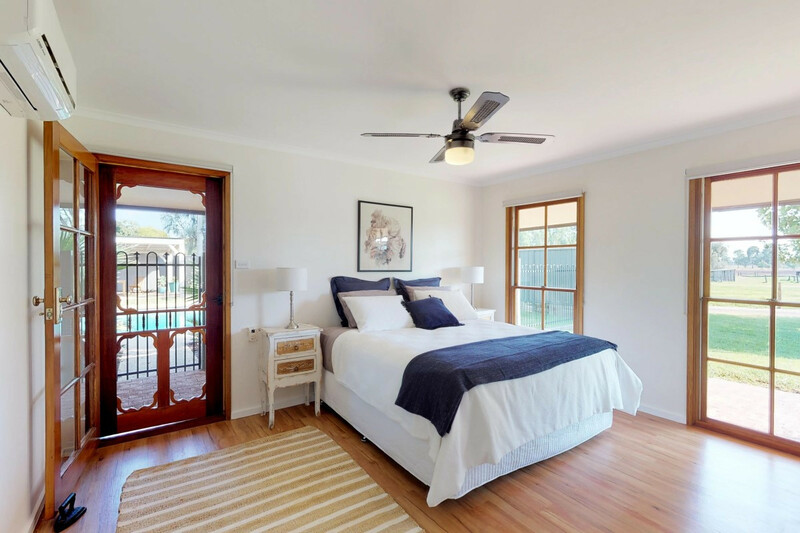 “The Willows” provides a unique blend of luxury and lifestyle less than 6 km from the Swan Hill Post Office with a spacious, fully renovated residence and 10 acres of peace and serenity – all just a short walk to the Little Murray River. 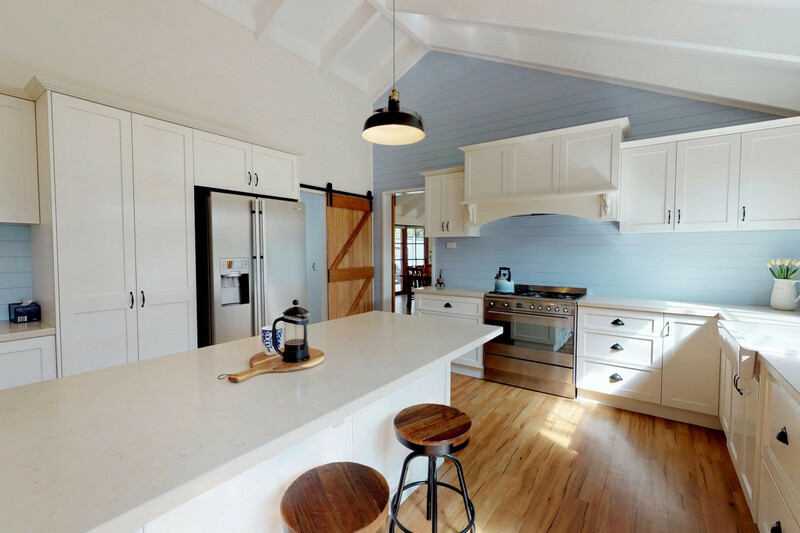 This traditional country style brick-veneer home blends beautifully with the modern “farmhouse-inspired” renovation highlighting the exposed beams and cathedral ceilings in the living areas. 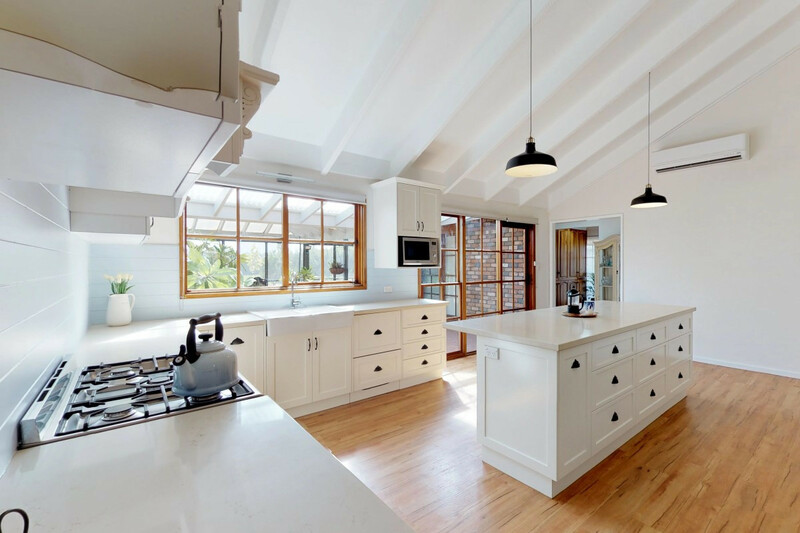 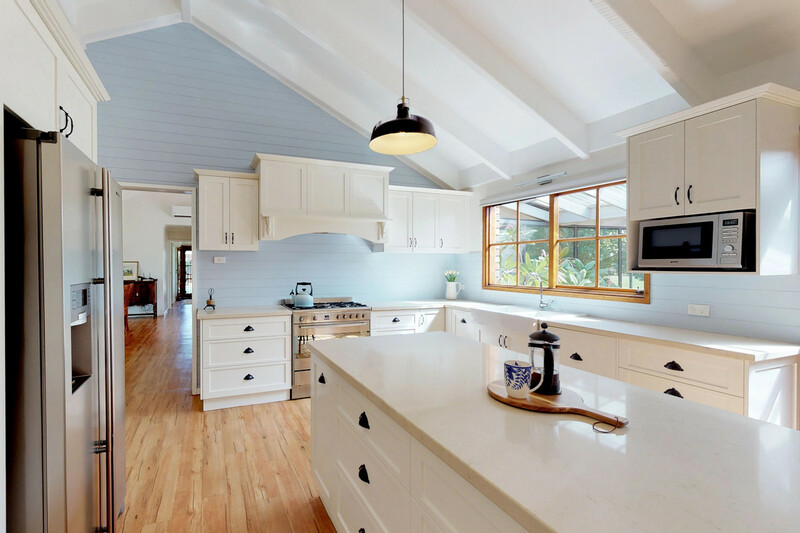 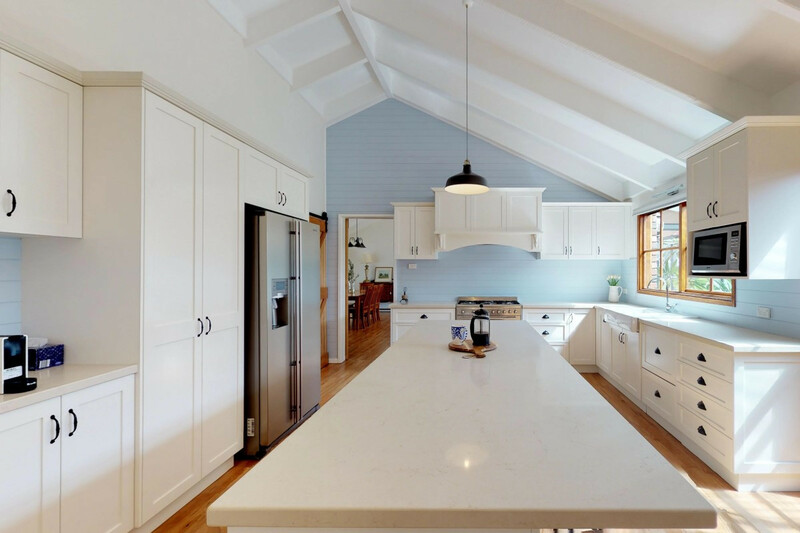 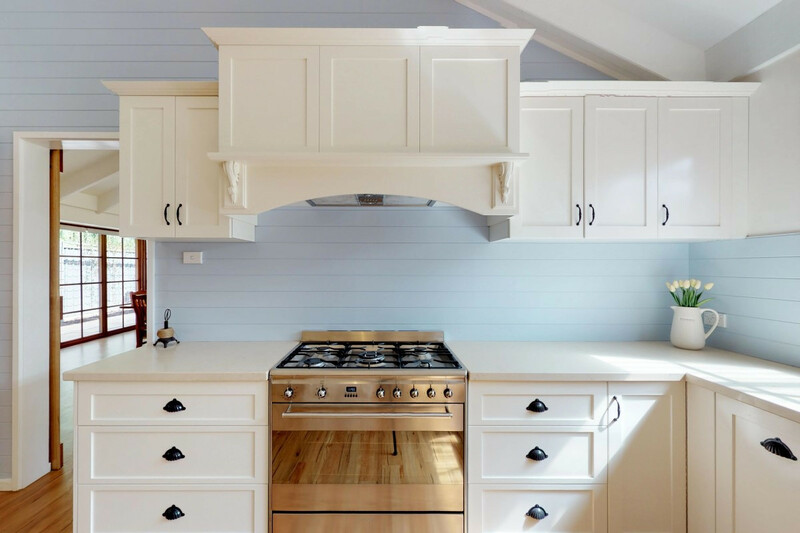 The kitchen is truly the heart of this home, with a plethora of pantry and cupboard space, a huge island bench and stone bench-tops make life easy and enjoyable for the home cook to cater for the family or indeed a large gathering. 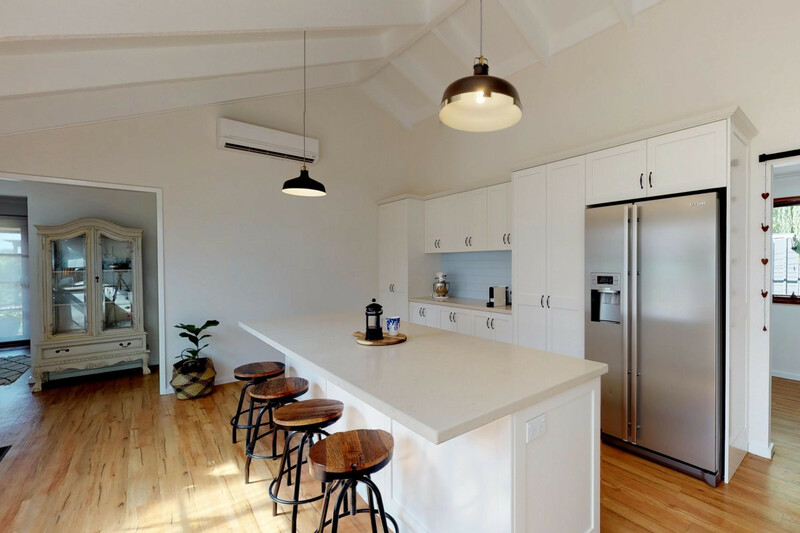 Other kitchen features include a Smeg 900mm 5 burner gas cooktop with a 900mm electric oven and dual integrated dishdrawers. 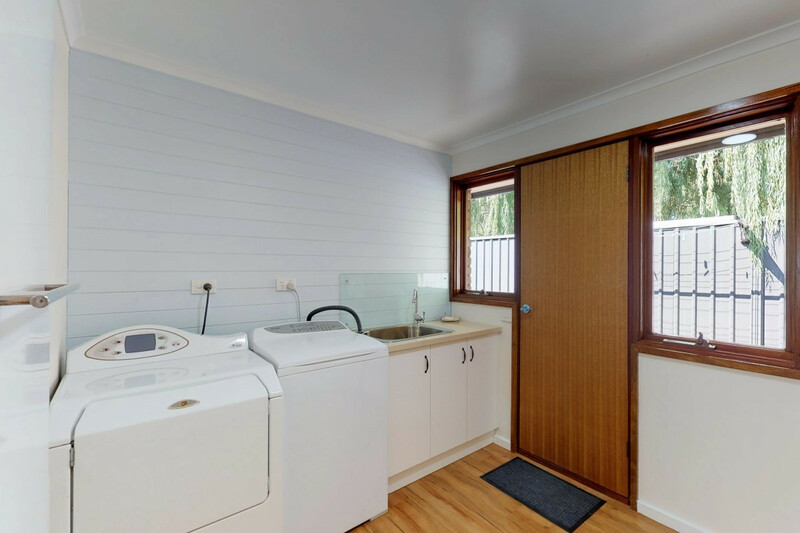 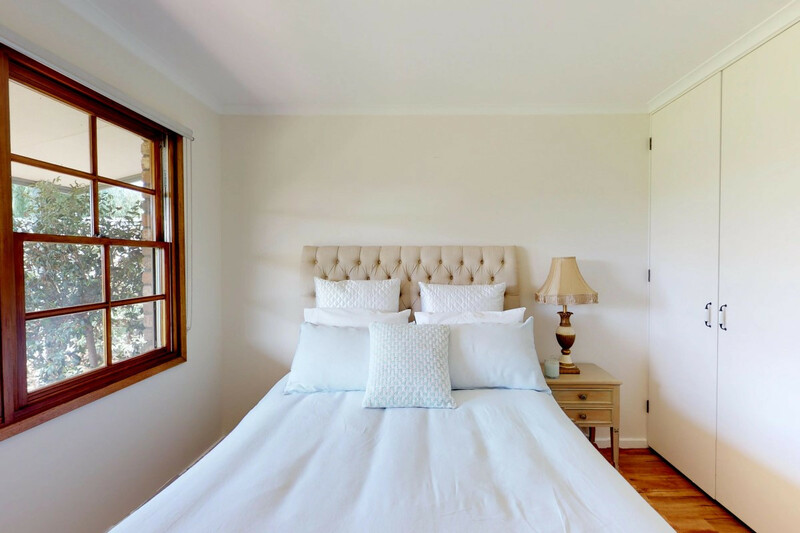 The large laundry is conveniently situated just off the kitchen with plenty of linen storage cupboards. 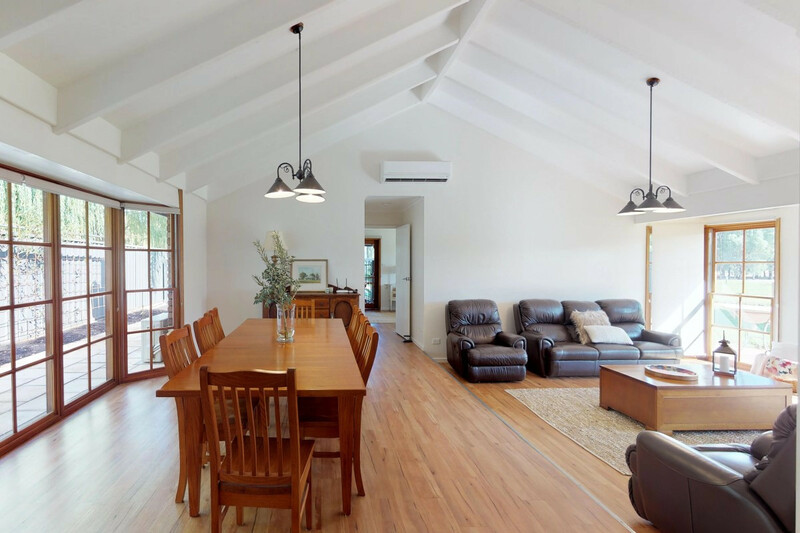 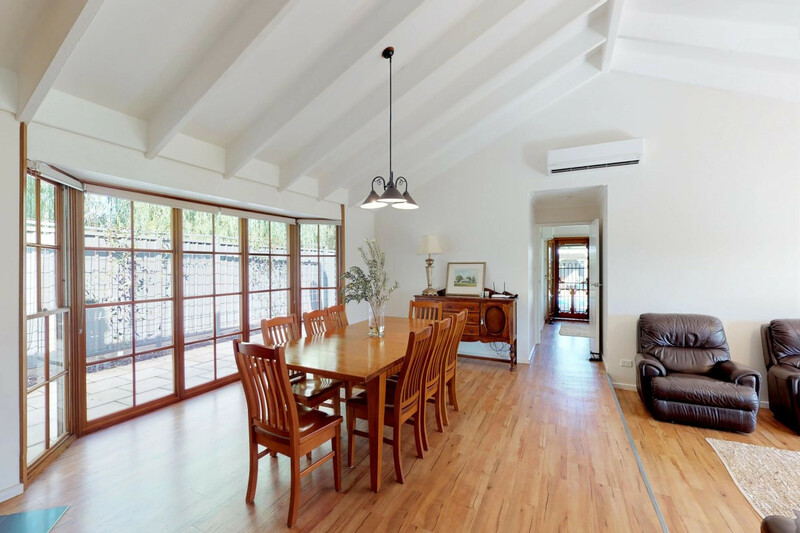 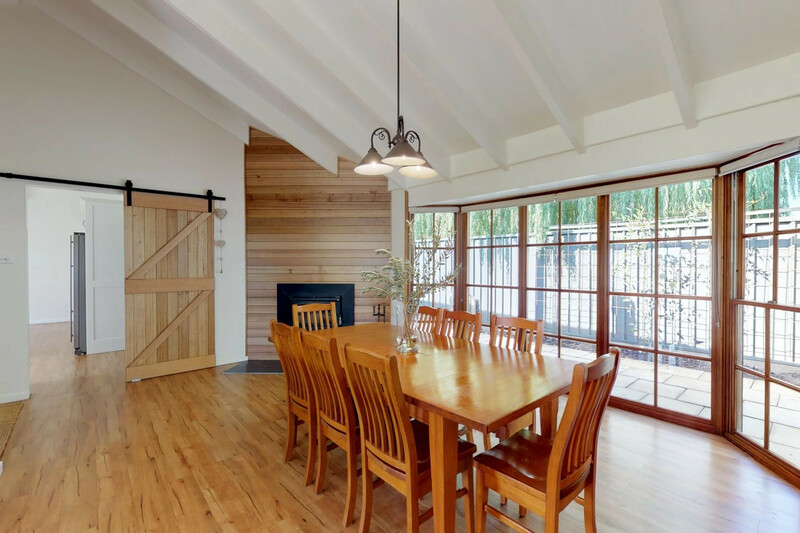 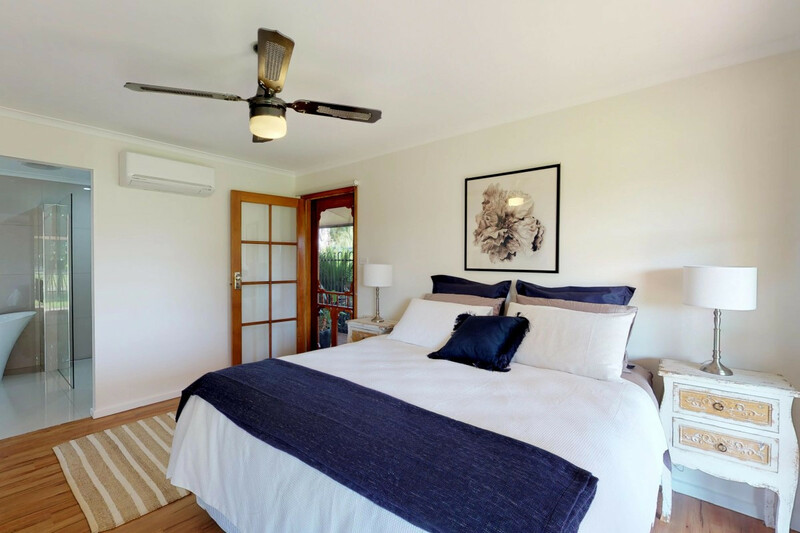 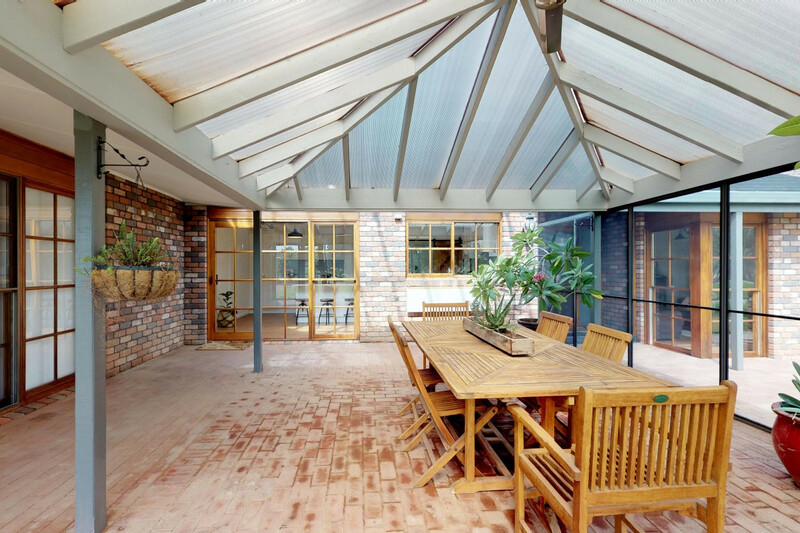 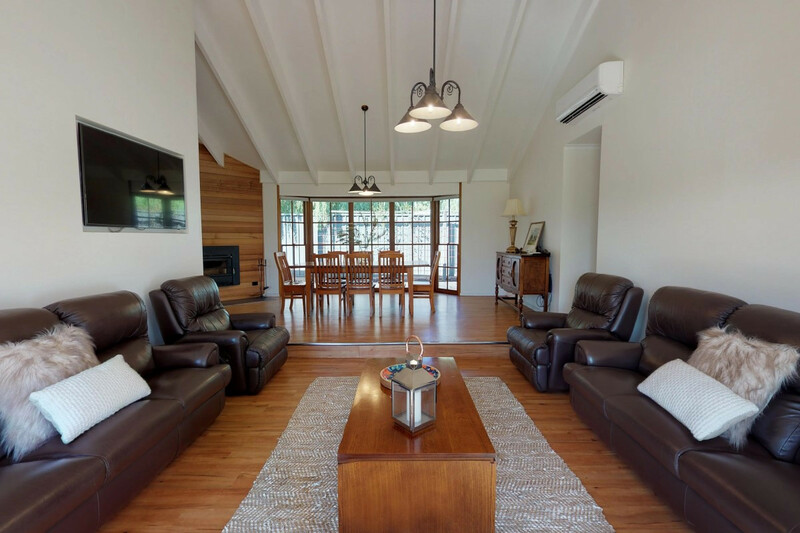 Lofty raked ceilings continue into the dining and lounge rooms and the recessed solid fuel heater will be a popular spot on those chilly winter nights. 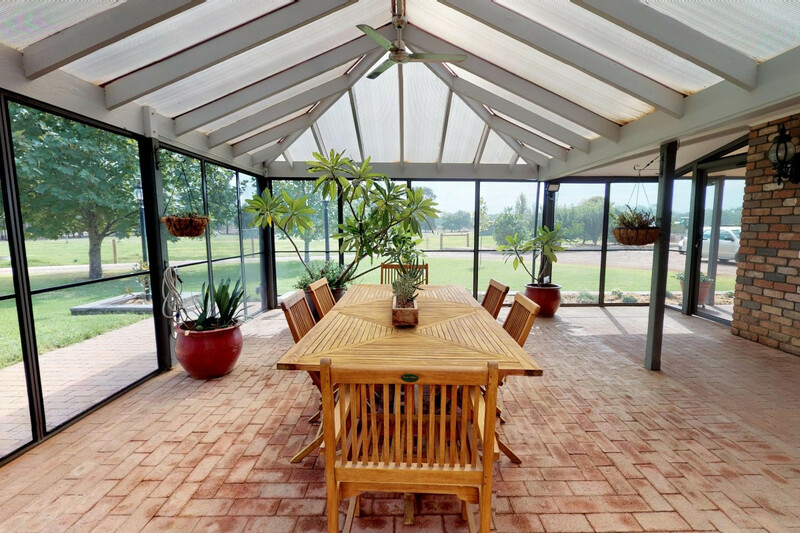 The third living space is a covered, fully screened indoor-outdoor room convenient to the kitchen and the perfect place to relax at the end of the day watching the sun set over the established pasture. 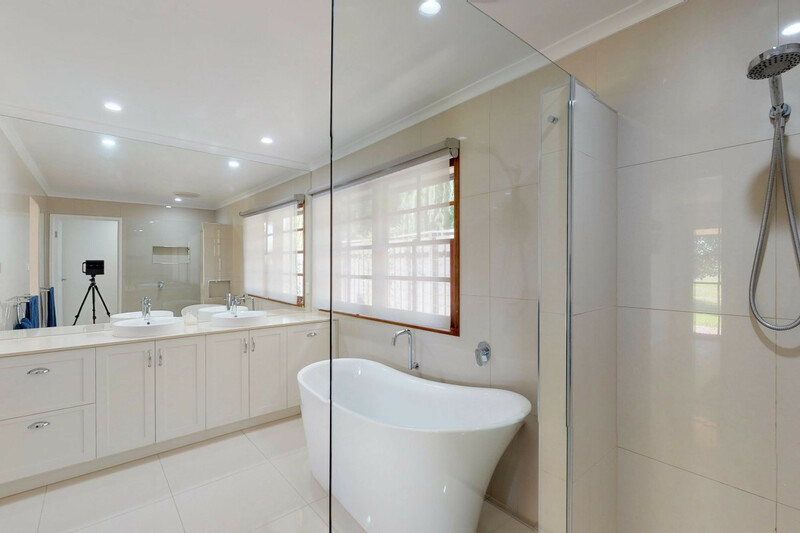 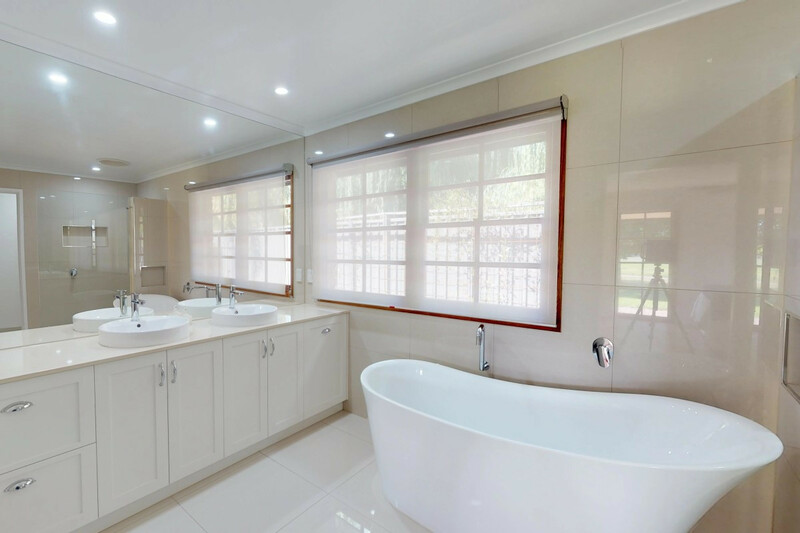 The spacious master retreat features a huge ensuite complete with double vanity, stone benchtop, free standing bath and large walk-in shower. 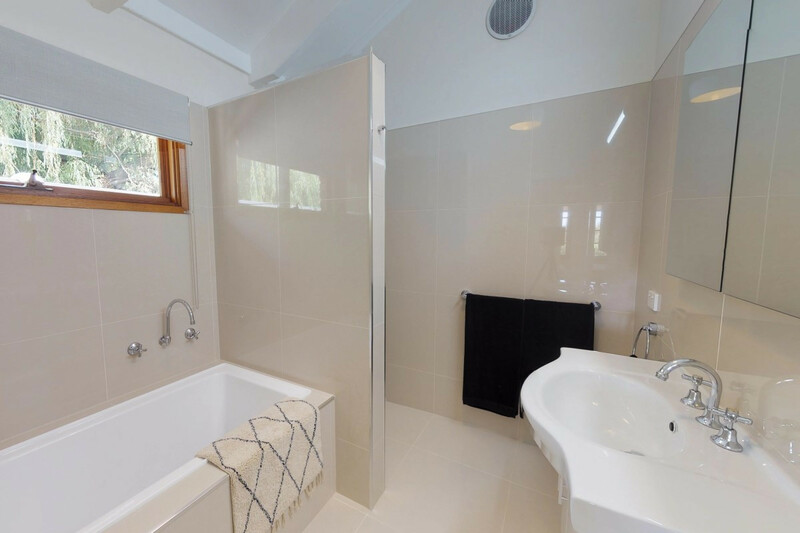 There is also a large walk-in robe and separate toilet. 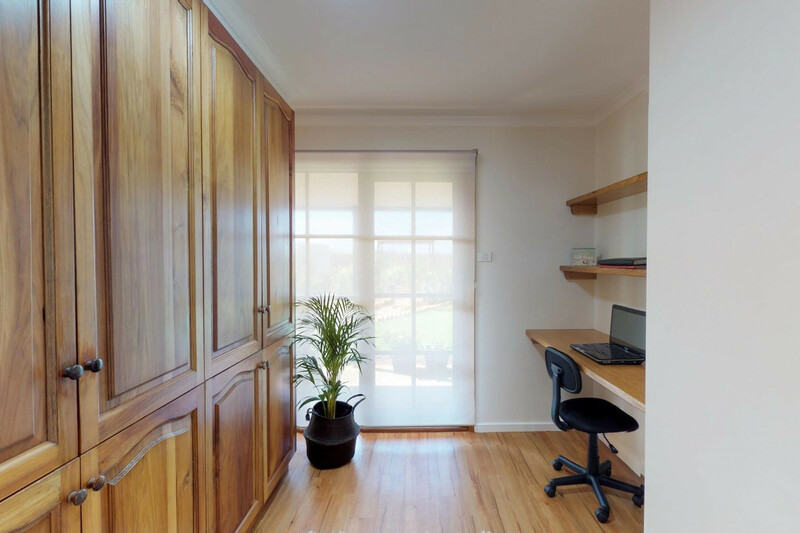 The remaining three bedrooms have built-in robes and a cleverly designed office alcove includes a bank of full length cupboards. 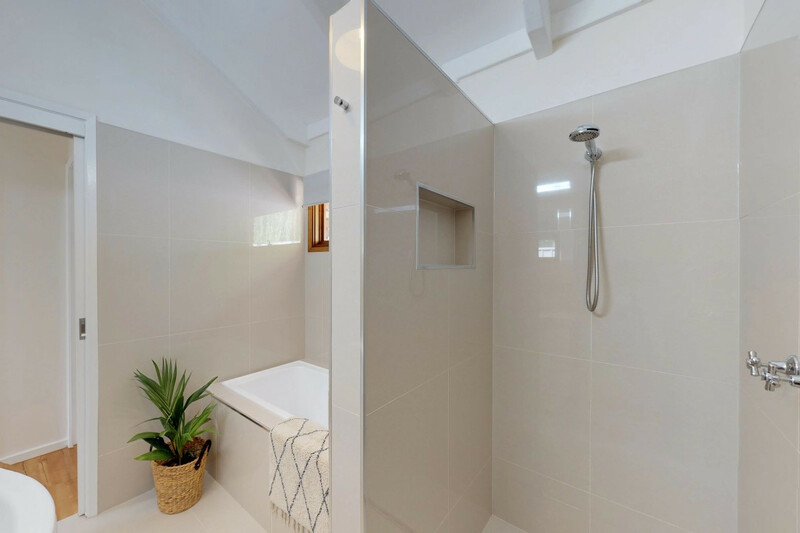 The family bathroom also enjoys raked ceiling, separate bath and walk in shower. 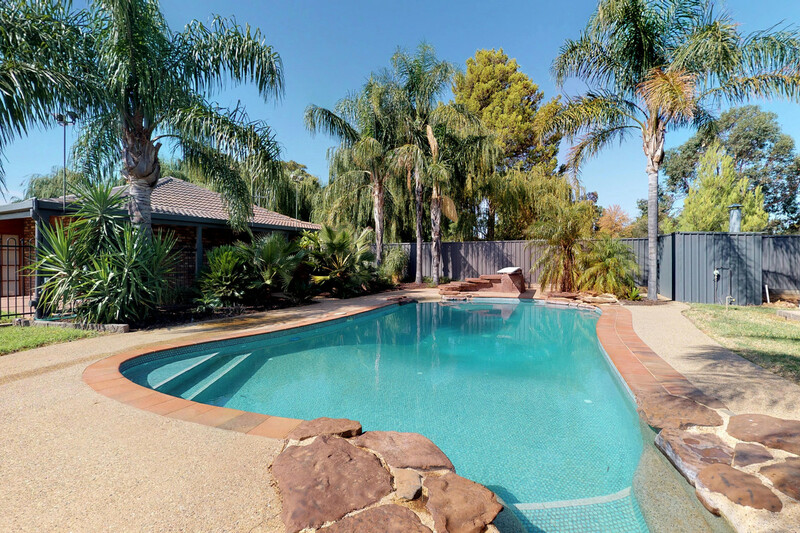 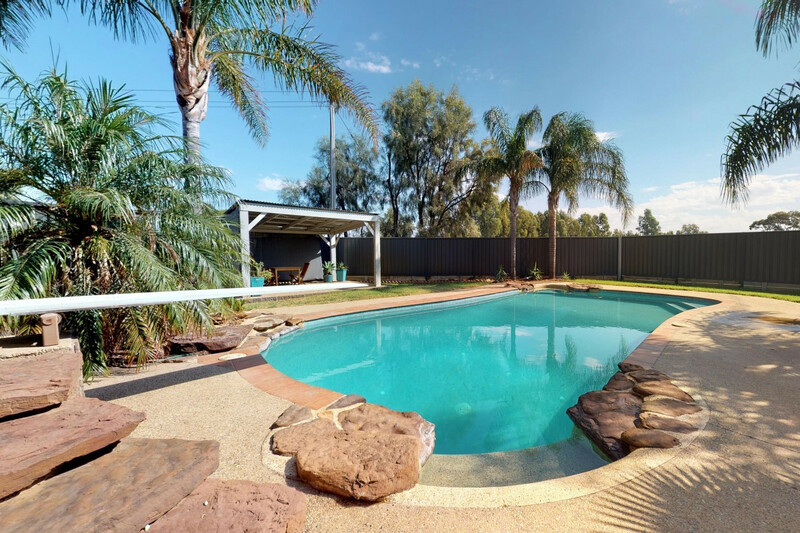 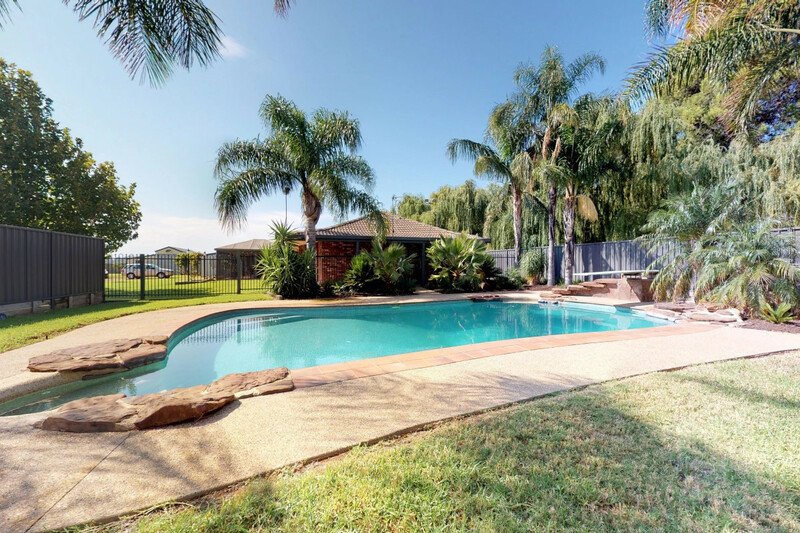 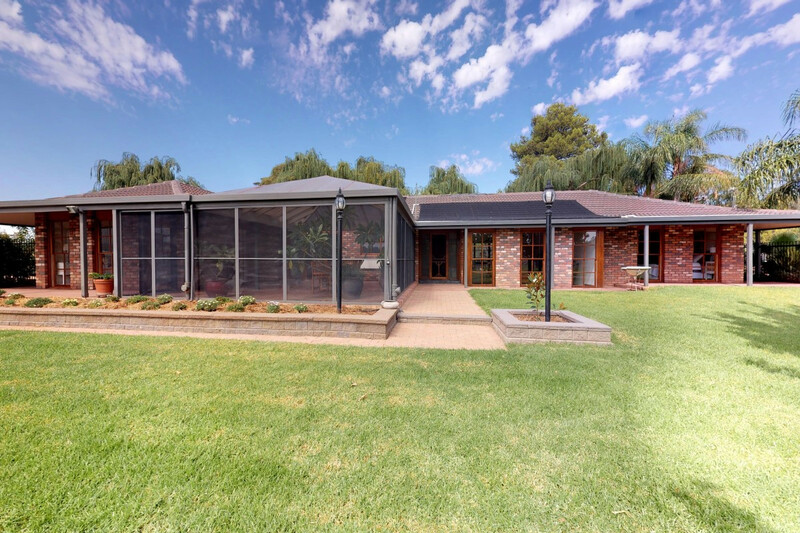 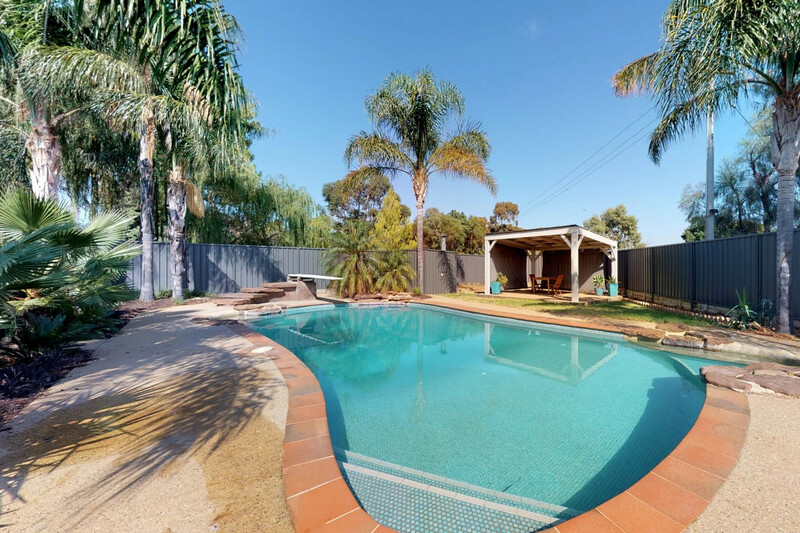 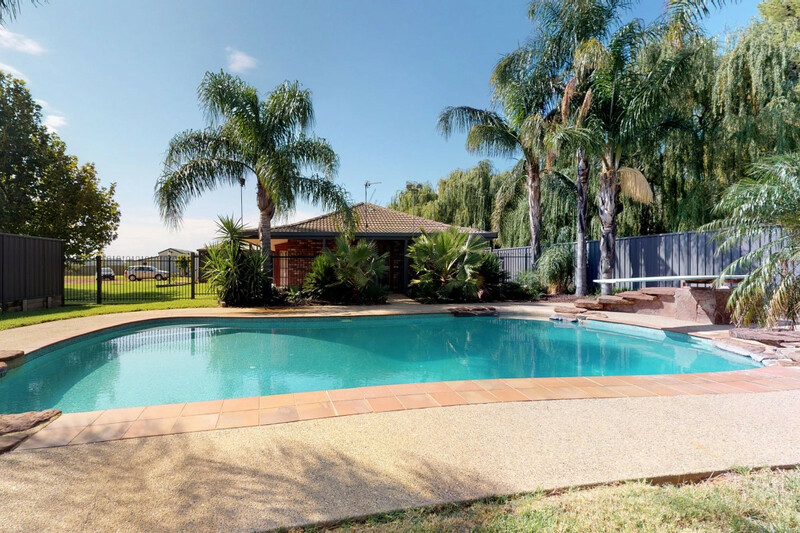 You will be able to make the most of Swan Hill’s warm summers in the fully tiled, solar heated in ground pool complete with its own diving board and paved pergola area. 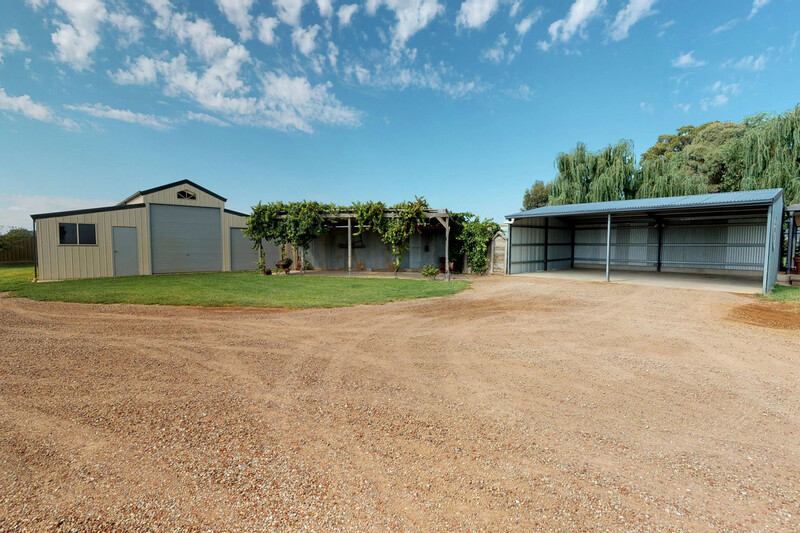 Just past the double carport, there is a 10.5m x 10.5m barn-style shed with a concrete floor which provides high –clearance access and lots of storage for a boat and trailer with power connected. 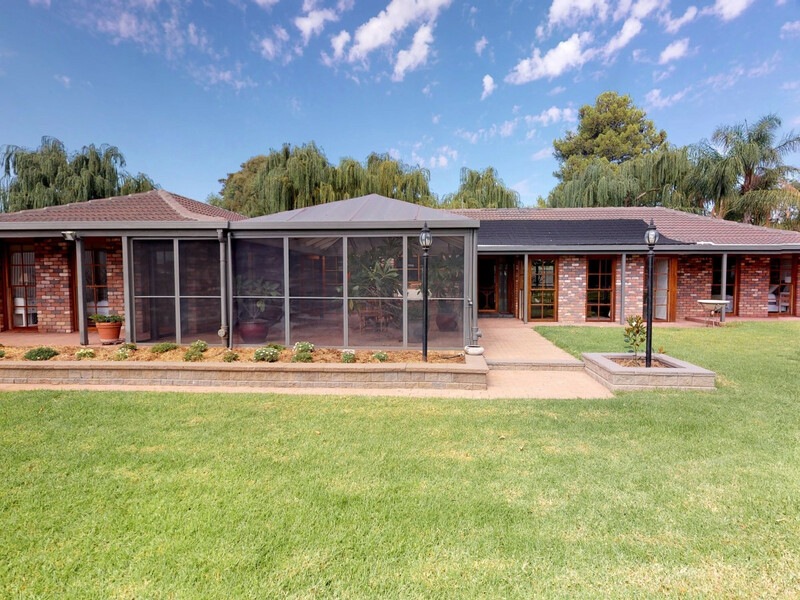 The keen gardener with love to wander amongst the array of established roses in the east garden and your cup will runneth over with fruit from the established stone and citrus fruit trees. 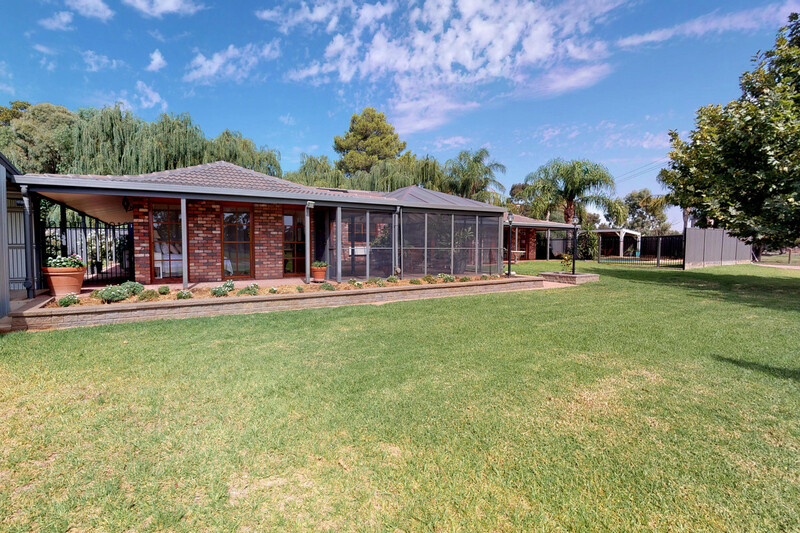 The 4.02 hectare title enjoys frontage to both McFarlane Road and the Aerodrome Extension Road and is laid out for grazing. 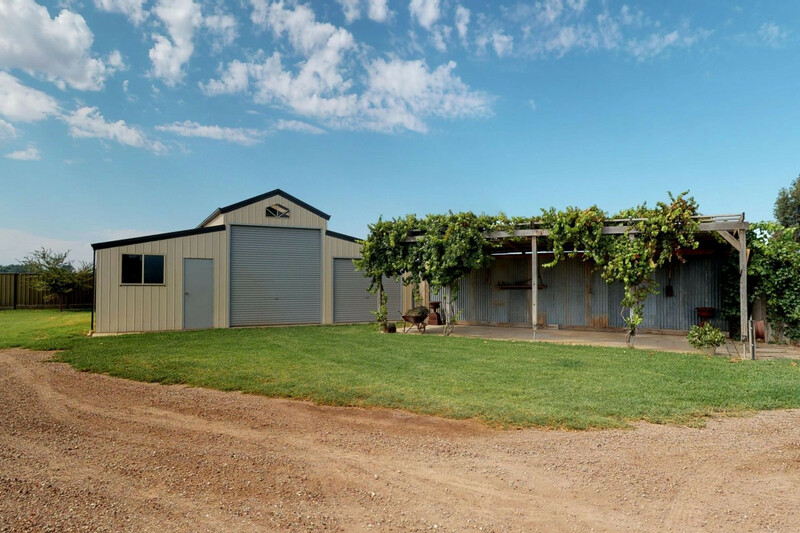 Whilst the auction contract will not include irrigation water shares, it will include the vendor’s Delivery Share and the successful buyer will have the option to buy Water Shares at market value after auction. 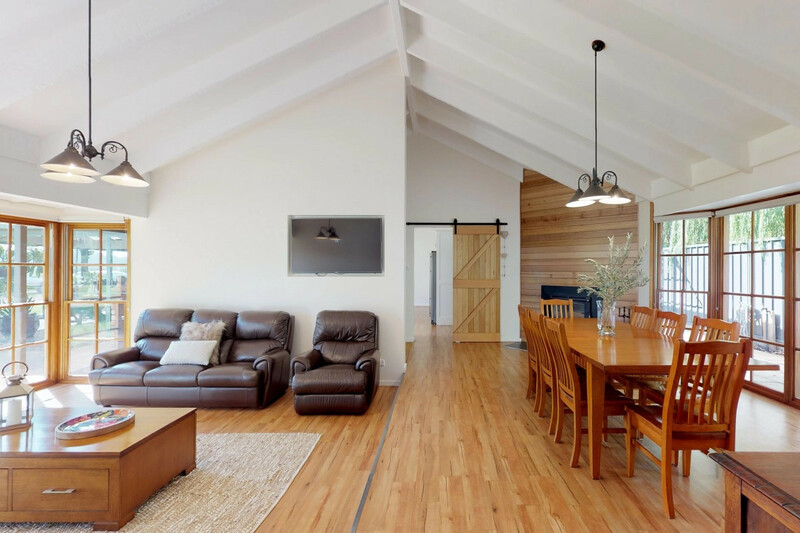 Rarely do buyers have the opportunity to purchase such an outstanding, fully renovated home on acreage so close to town. 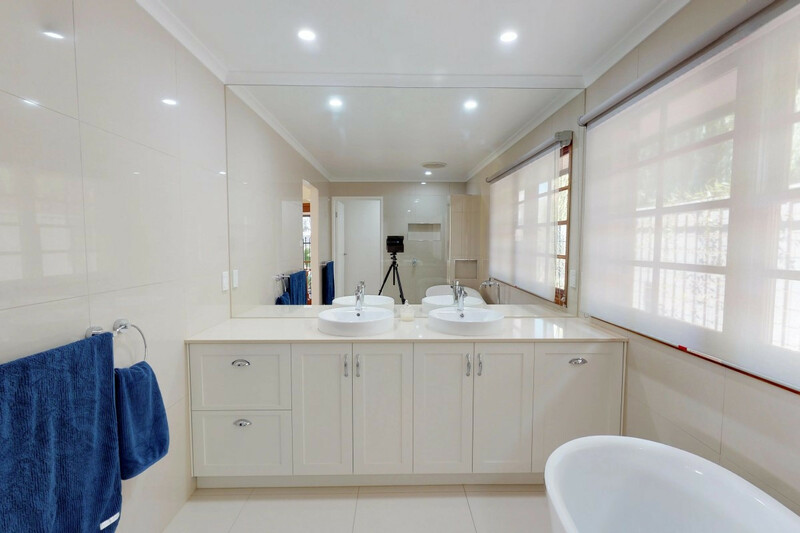 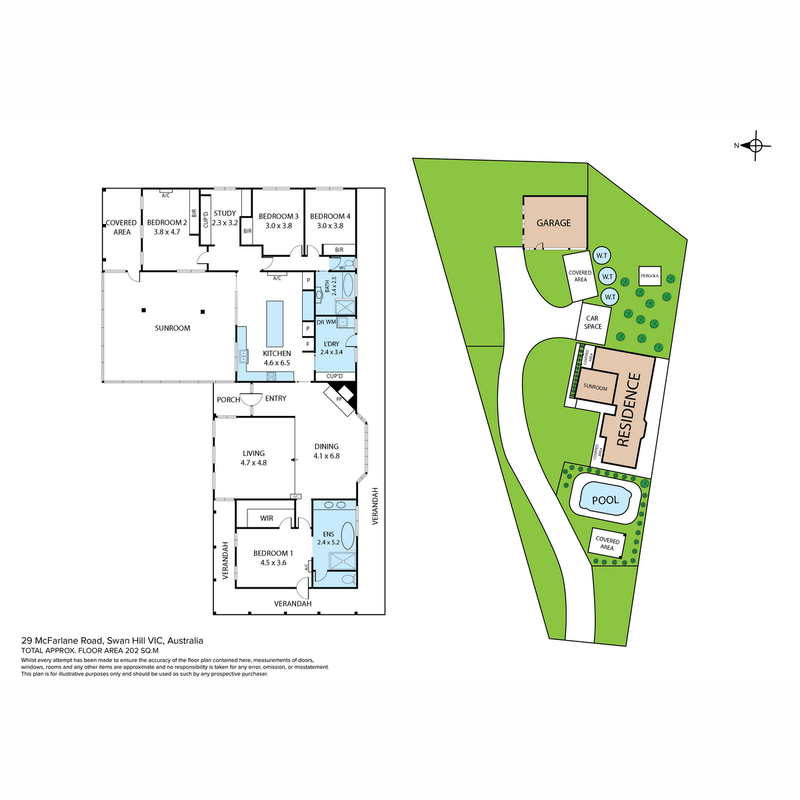 “The Willows” truly is the complete package and buyers are encouraged to register their interest early.